A major highlight of the American Capital Associations annual conference was Steve Blank’s presentation of his customer development methodology – a process which has had an impressive impact on the teaching of enterprise creation in the last decade. Steve, an academician, serial entrepreneur and investor with over thirty years experience in the technology industry who has founded or worked within eight startup companies, (four of which have gone public), is recognised for being one of three founders of the Lean Startup movement. His contribution was recognising that commercialisation is a process of testing a series of hypothesis. He currently shares his theories at Haas School of Business, University of California Berkeley, Columbia University and the California Institute of Technology (Caltech). His methods are now being taught in more than 200 universities worldwide, and are recommended by the National Science Foundation and National Institutes of Health in connection with federal grants. Prior to the lean startup movement and wide spread use of Steve’s customer development methodology investors assumed because they funded a company the entrepreneur would follow a set plan and the board simply monitored it. Investors were treating startups like they were big companies – work out a business plan and then simply implement it. Great tools were built for execution against plans in large corporations and then used in early-stage ventures and it was assumed this was enough. People who didn’t execute were fired. Steve proposed that while large companies execute known or proven business models, startups don’t. What angels and other early-stage investors thought they were funding – execution – was actually the search for a scaleable business model that created true value. Instead of assuming entrepreneurs were ‘doing it wrong’ the question that should have been asked was ‘are the critical assumptions about the business plan wrong’? He has gone on to show that a large percentage of the time entrepreneurs are just guessing about execution. There are no models for early stage venture execution – and no-one is executing in that first year. They are in fact just burning cash conducting a search for that business model – performing a series of experiments to test a problem, solution, a product and a market. He then went on to create a much-needed methodology to do this work in a robust and repeatable way. The customer development methodology is now well documented. A good place to start learning more about it is at www.steveblank.com or on his free Udacity Lean Startup course. Customer development is a process – founders need to get out of building and turn hypotheses into fact by testing the problem exists, the solution is valuable, the product will work and the market wants it. Only then should they build a minimum viable product. Talking to a minimum of 10 to 15 customers a week is the role of everyone working on the startup, with a goal of talking to 100 to 150 potential customers being the benchmark. This number is shown to produce the best results. Then the founder can report back, ‘here’s what I thought, here’s what I learned, here’s what I’m going to do’. At the conference Steve also pointed out a great thing about this process is tech founders already understand it. The process of defining hypothesis and testing it is used in their work to create and test software and hardware. Striving for evidence based commercialisation is similar to the process engineers go through to work towards deploying programmes and technologies that work. Its a proven process for minimising time, money and resources. 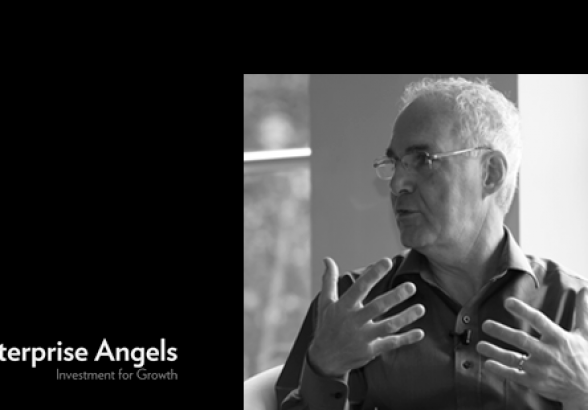 So, what should angels learn and do that’s different in light of the lean startup movement and in particular customer development methodology? Recognise that often all the entrepreneur has in reality is a hypotheses – ask for evidence or at least what the plan is to collect the evidence. Understand that a startup is a temporary organisation designed to search for repeatable and scaleable executable business model – it is not a business yet. Know the goal is not to stay a startup, but rather to build something which has real value to a set of customers – a sustainable enterprise – and if it scales too you are going to increase the speed of growth and hopefully the size of your returns. Don’t fund people to execute on an idea, that shouldn’t be done on angel money. Before investing check what evidence the entrepreneur has collected that who they say are customers, really are the customers of the product or service they propose. Ask who they have talked to (and how many) and how they have tested their hypotheses. Rather than angels finding out by funding entrepreneurs ideas and blowing $500k, get the founder to go out and do this validation work themselves. Take the time. Then insist you get access to all those conversations and get the founders perspective on the evolution of the idea. Work with founders who are passionate about doing the quantitive and qualitative validation of facts themselves, using a marketing research company to validate the market is not as effective. It is critical is that the people with skin in the game validate whether anything a marketing company tells you is true. Get out of the building yourselves as angels too, make validation your work too – the purpose being to inform the founder’s vision. Your job is not to fund someone to just do focus groups which come up with superficial data such as ’47 say one thing 3 say another’ the skill you’re investing in may be a founder’s ability to pick up on the feedback from the 3 and testing the opportunity to build a business model around them. (47 say sell it for $9.99 – 3 say its an enterprise play and we’ll pay $200k). Once you have a marketing plan aim to test it yourself and see what you learn that’s different from the entrepreneur’s plan. Celebrate the fact that the startup is a search for that executable business model rather than focus on the original business plan and its implementation. Be glad when you and the entrepreneurs learned these new important things instead of beating up the founder for not delivering on a plan. Do the customer validation test yourselves. When you hear ‘I want to order now’, say ‘OK give me $20 I’ll hold it and give you the product when its done’. Invest with the full understanding the initial goal of a startup is to maximise learning not revenue. Returns come from real value-creating scaleable, sustainable business models that are born from that learning. To meet and hear from international angels and leaders in New Zealand’s angel investment community secure your seat at one the southern hemisphere’s largest international exclusive investor events Asian Business Angels Forum, being held in Queenstown, New Zealand, October 14-15 2015.